Place pot over medium heat. Add a splash of olive oil and the minced onions. Cook for 2 minutes until onions have softened, add garlic, sprinkle with salt and pepper and cook for another 2 minutes. Next, add the tomatoes and allow them to sauté for about 5 minutes. Meanwhile, you can make the basil oil which will garnish the soup. 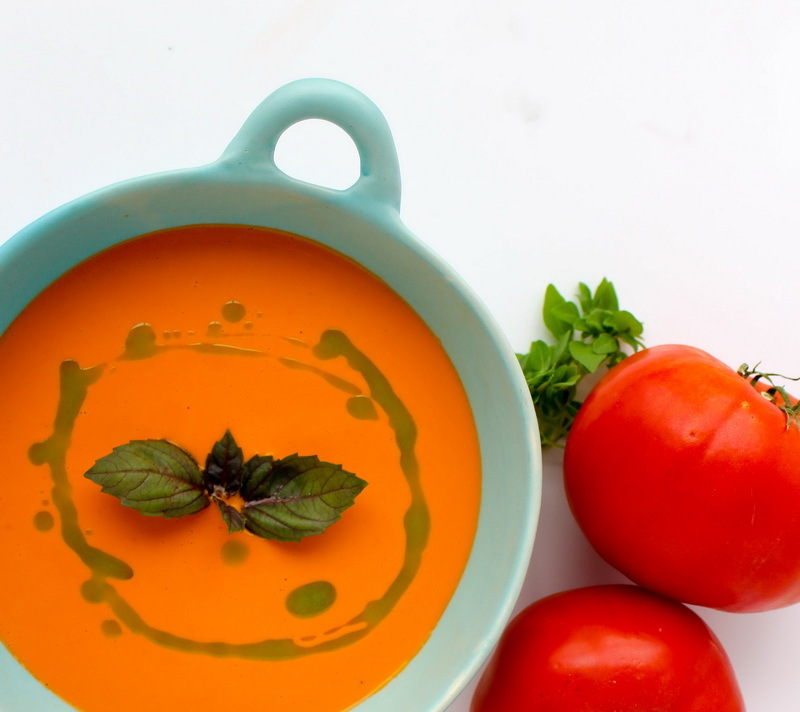 Place ¾ cup of basil and ¼ of olive oil in a blender, or food processor and blend for 2 minutes. Strain the oil through a fine mesh sieve and reserve. 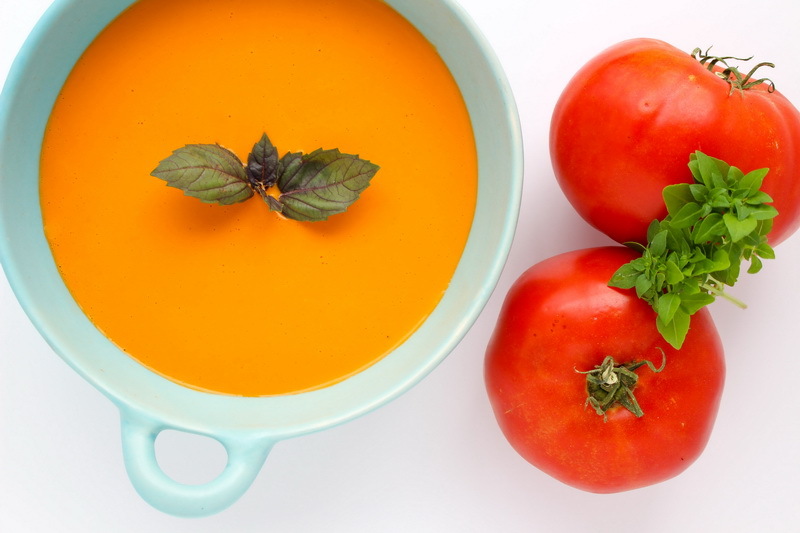 Once the tomatoes have simmered for 5 minutes, transfer the contents of the pot, along with ¼ cup olive oil and ¼ cup basil, to a blender or food processor and blend on high for 2 minutes. 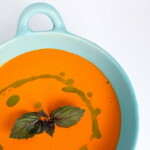 Strain the soup through a fine mesh sieve and serve hot, garnish with the basil oil. Browse the Recipe archive. This entry was posted in Recipe. 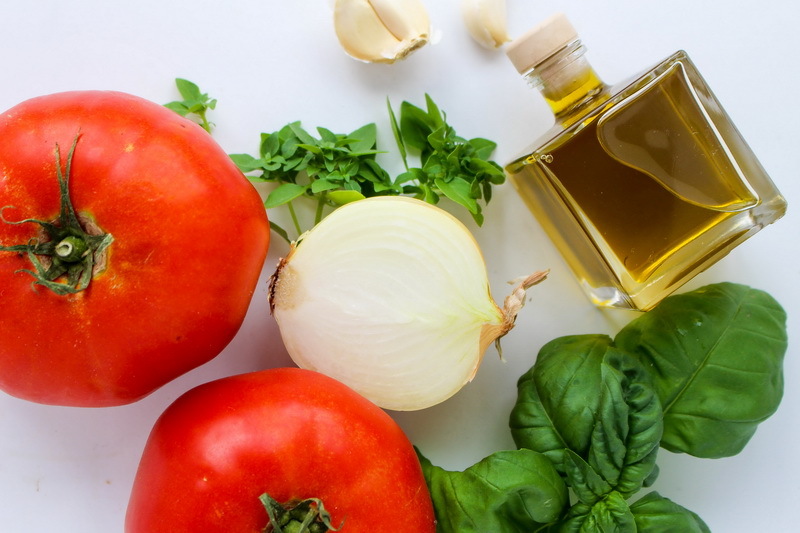 Ingredients: basil, garlic, minced, Houweling’s Beefsteak Tomatoes, chopped, olive oil, salt and pepper, sweet onion, diced. Course: Soup. Cuisine: Homestyle. Rating: 0 stars. Bookmark the permalink. Both comments and trackbacks are currently closed.